Honestly, I’ve been so busy in the real world that I haven’t posted anything on the blog in a while. I’ll post a summary in a few weeks, but this was something that I had to share. You guys know how much I love karting, so this is something worth sharing. [TAGTeam] Part 5 – After a long hiatus…back in the hunt. It’s been ages since I’ve posted something on the blog. To be honest, I’d forgotten about |StartingGrid| for a little bit. Life has been busy with… life. However, there has been some light at the end of the tunnel, and I’ve started to be able to get back into racing. This post really isn’t going to be anything special, as just a summary of what’s been going on while I’ve been away. Even with all of the running around at work, I’ve been able to make a few times on the track. Mostly, I’ve been spending my free time getting in practice laps during the off-weekends. I’ve been saying for a while now that my result in the races haven’t been what I’ve wanted. It’s a combination of needing more practice with my driving, but also improving how I set the kart up. So whenever I’ve had a free moment, I’ve been at the kart track doing laps. Pretty much the status quo, I guess. 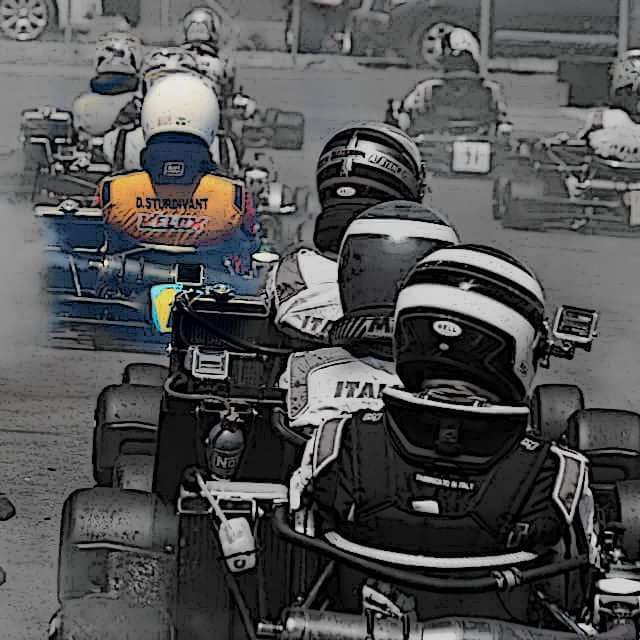 Superkarts are insanely fast racing machines. Faster than most racing cars that you can get your hands on. This Superkart in this video is faster around Cadwell Kart than an F3 car. Two weeks ago, I drove in a club race at Sumas Motorsports Academy. It was my second race in my X125 Tag/Velox SK1. I qualified ninth, finished the first heat race in sixth, and the final in seventh. I got as high as fifth place in one of the heat races, but at the end of the day, I probably finished where I should have.